Lately I've been reading facebook posts about "wanting to homeschool but...." or "help!!! What about socialization?" and "my kid just doesn't want to learn....". 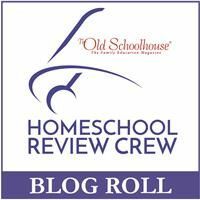 All sorts of issues and problems that people are having with the whole homeschooling deal. Sometimes posts like that can get me seeing only the problems with schooling at home, instead of seeing the blessings that are all around me. This post is about the blessings of schooling at home. 1. Spending time with my son. He makes me laugh and sigh and sometimes cry, but mostly he just makes my heart glad that I know this boy. In all his goofiness he's all mine! :) Smart, video oriented, kind, just a good lad. 2. Freedom. I don't have to work around the schedule of a school. Getting my lad up in the morning, having the pressure to be working (have to fill my days somehow! ), being home when he gets back from school, making lunches, helping with field trips, teacher interviews, vacations (can take them when we want), and more. We have freedom to sleep in, rise early, see friends during the day, and so much more. We just have freedom. 3. Fostering Independence. As much as I am thrilled that my lad is gaining independence in his learning, it also at times makes me sad...and that's a good thing. He's moving away from being a child needing direct supervision, to being a lad more responsible for his own learning. This is a good thing and I am so pleased to see that progress, though it makes me sad a bit to not be needed as much. :) I suppose the need now is in a different manner. Someone to share what he is learning...this is a good thing. I love the sharing. This video recently fascinated. 4. From my son "I don't have to deal with stupid people". From watching TV and dealing with some neighbourhood issues, my son is glad that he doesn't have to deal with bullies and people being deliberately unkind. He appreciates that he can take alone time if he needs it throughout the day at his choosing. 5. Curriculum choices. As hard as these are to make at times, it's great to be able to make choices and use some really great materials. I don't have to deal with someone else's choices of what works for them (whether it works for my lad or not). I can struggle with it, delight in it, see the understanding gleam in my lad's eyes and more. It's just GOOD. My choices for next year can be found here. I have made friends while schooling my son. Friends on the crew (the review board that I am part of), friends on-line (through homeschooling forums) and friends in real life (through our homeschooling group). It is SO GOOD to have friends. Friends to talk to, seek advice from, pray with, cry with, lean on for support. Friends are so key. It keeps one focused and grounded, broadens your experience, and gives you community to belong to. Friends to share meals with from foreign countries. To make crafts with it and go on nature walks. Such a wonder and joy to us. This is indeed my biggest homeschool blessing. We love the freedom homeschooling gives us. It makes it so much easier for so many things.